When will UEFA implement a fair game for ALL clubs? Next season is set to get tougher for certain teams from certain countries. It doesn’t matter how big a club you are or even think you are. European club football is for the big boys. It’s more about the wealth of your league. UEFA have been rewarding the affluent leagues for decades now. The rich get richer and the poor stand still or drop further down their rankings. Under the current system clubs and leagues with high revenue streams get rewarded handsomely. They have stronger leagues and are better funded so in European competition can compete at a higher level. Meantime, everyone else suffers as a result trying to keep up the impossible task. If it is was a level playing field in football it would be more of a fair fight, but it isn’t. European countries have a whole range of infrastructure variables which dictate their game such as TV revenue, stadium capacity, population, climate etc etc. There has always been disparity in football between European countries, but the competitions always allowed a team regardless of location or wealth, an opportuntity to win. You never knew who was going to win the European trophies. Now you can narrow it down to a handful of teams each season, because they are the only ones that can afford it and the gap is widening. 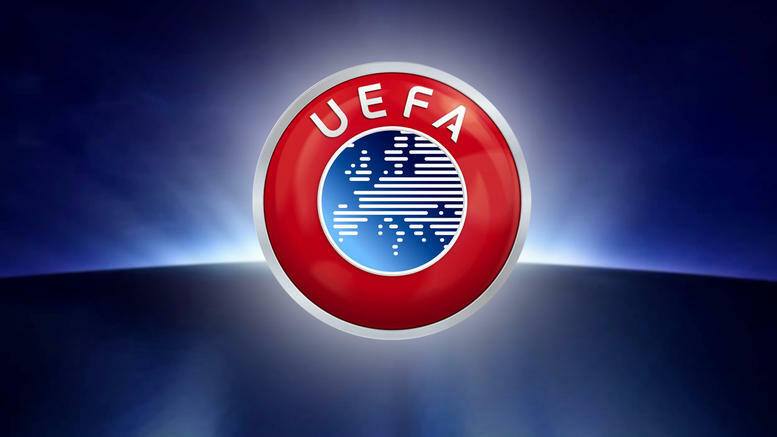 UEFA ensure the wealthy prosper, thus creating a super league. It isn’t exactly what I would call fair play. Every league winner under UEFA’s wing should have automatic entry into the group stage of the Champions League without argument. Unfortunately that isn’t how the men in Nyon see it. The seeding system currently employed by UEFA does work, but it is also heavily imbalanced. Why should leagues with less income have to jump though more hoops? If UEFA want to seed teams over based on the last five seasons I have no problem with that. However, if some teams are having to play anywhere between one to five qualifying rounds just to get there, playing against teams that finished 2nd, 3rd or 4th in their league then I do have a problem. The continual rewarding of non-champions with direct entry and/or little to nothing in the way of a qualifying campaign is a two-fingered salute to clubs like Celtic. We know Scotland are way behind the times in terms of football, but clubs such as Celtic are suffering by the ineptitude of Scottish football and the greed of UEFA. Here’s the thing, if you give all UEFA members one winner from each league, direct entry into the group phase then smaller countries get an opportunity not just to experience the Champions League/Europa League, but also to accumulate some wealth which can benefit that club and country’s development. A team from Kosovo, Andorra, San Marino, Gibraltar or the Faroe Islands, currently the bottom five nations in UEFA, are unlikely to every see the inside of the Champions League group phase because them system keeps them down there. Whilst it is great to see the best teams in Europe all slug it out, it isn’t a fair system. It certainly isn’t a Champions League. A Champions League consisting of 54 of the 55 members plus the previous seasons winners of the Champions League and Europa League would give you 14 groups of 4. Seems like a lot compared to the 32 you get in the current group phase, but considering 79 teams competed starting back at the qualifying stages in June 2017 why not just expand it and if required lengthen the whole competition for all nations? For Celtic, another round of qualification this season is quite frankly, insulting. Once crowned the Champions of Europe against all odds, though in with a fair chance, we now face oblivion against a wealthier team before the group stage is in sight this summer or indeed one that didn’t even win their own league. There was no rewarding the big clubs or ensuring direct entry back in those days. It was a fair fight on every match day and of course a knockout competition. In order for Celtic to ever win the Champions League, they’d have to break the bank. With financial fair play rules in place that isn’t going to happen. So Scottish football would have to get its house in order and that isn’t going to happen any time soon either. The bottom line is if your league is poor you’ve got no chance. Celtic have all the right things in place as a business, but we are let down by the environment run by the SFA and the SPFL. UEFA aren’t going to change the rules unless there is some kind of stance taken by other leagues across Europe. In the mean time, Brendan Rodgers will just need to keep plugging away and build on these last two seasons. He can’t go beyond a certain budget, but to be fair he has been patient and prudent so far but it’s beginning to look more and more like his team. There will come a point when he can go no further, but as we’ve seen so far during Brendan’s reign, there is still much left to do. He’s here for three more seasons and there’s still time to see an improvement. Excellent analysis of the wretched greed governing European football. I was aghast that we now have to play yet another qualifier this summer. Being an optimist I had thought UEFA were going to at least start the process of financial fair play. They have gone in the opposite direction. No surprise from the Swiss. It has only ever been money and lots of it for them.